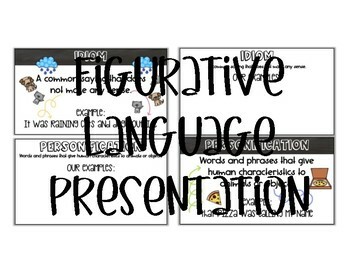 Inside you will find a presentation that not only gives students a direct definition and example of each type of figurative language but it also gives students a chance to come up with their own examples as a whole group! Students will also have a booklet that follows along with the whole group presentation to take their own notes and write examples. 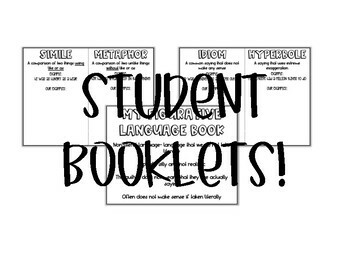 Students can then use their booklets as a reference during your figurative language studies! 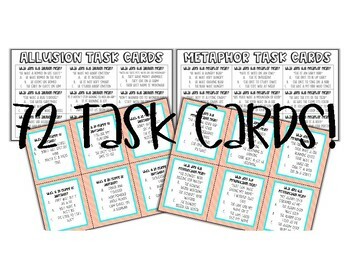 Then for extra practice, you will find 72 task cards! 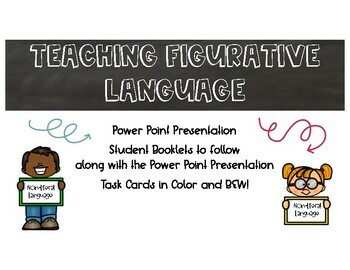 9 task cards for each type of figurative language included in this bundle! I hope your classroom and students enjoy these activities as much as my students did! This really made them fall in love with figurative language. Please don't forget to leave feedback and earn TpT credits towards your future purchases. Enjoy!